Good morning! 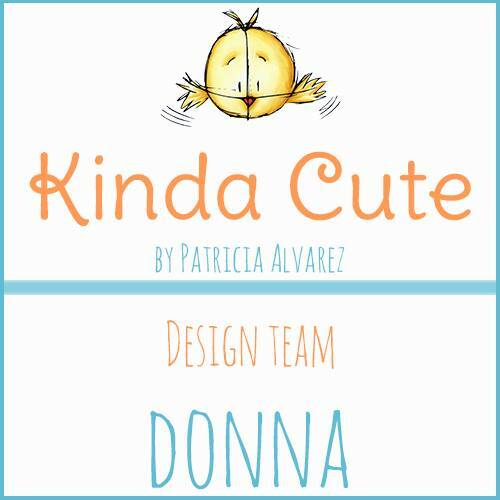 I just wanted to share my first design team project for Kinda Cute by Patricia Alvarez. 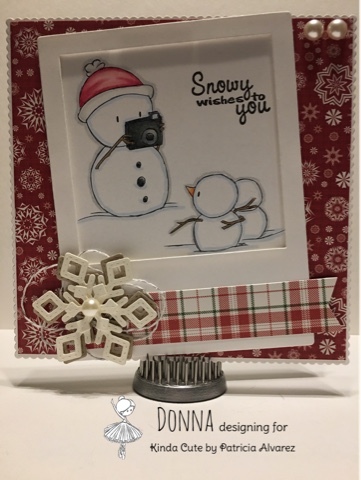 I am using a Digital image called Snowman Taking Photos. Isn't he a cutie? If you would like to check out the image I used and all the other really cute digital stamps please click on the link HERE. I used my Prisma pencils and Gamsol for blending. The papers I used are from a 6x6 pad called Mad For Plaid Christmas from Photo Play Paper. The Snowflakes are from Lawn Fawn. Photo frame is from My Favorite Things.